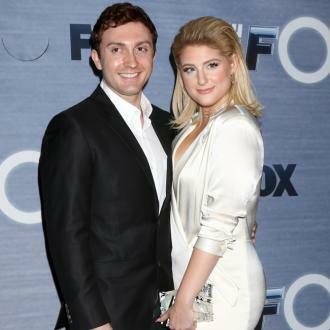 Meghan Trainor admits she fan-girled over her fiancé Daryl Sabara the first time she met him at a party and realised he had starred in 'Spy Kids'. 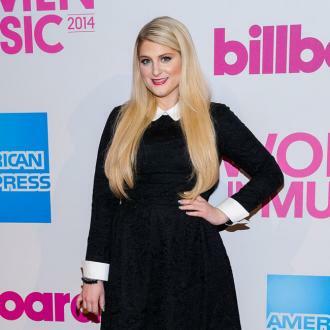 Meghan Trainor fell for her fiancé two years before he asked her on a date. The 'All About That Bass' hitmaker got engaged to 'Wizards of Waverly Place' star Daryl Sabara in December after 18 months of dating. Meghan, 24, was just starting her pop career when she first met Daryl, 25, and was already impressed by him because he starred in one of her favourite film franchises 'Spy Kids'. But it wasn't until two years later that they went on their first official date when mutual friend Chloe Grace Moretz set them up on a blind date. Meghan now wants her man to introduce her to other cast members from 'Spy Kids' and is now pushing Daryl to arrange a double date for them and his co-star and screen ''sister'' Alexa Vega and her husband Carlos Pena Jr.
Meghan previously confessed her and her fiancé had talked about getting married just one month after meeting. And Meghan knew Daryl was the one on their very first date in July 2016, organised by Chloe.